People of all ages and walks of life who are having problems with their feet or ankles need the quality care that a podiatrist can provide. Podiatric physicians (or podiatrists) have independent and unlimited surgical, pharmaceutical and medical authority when treating disorders of the foot and ankle. Podiatry became identified as a special field of study and practice in Britain in 1774 under the name "Chiropody" (from two French words, "chirugien" and "pied," meaning "surgeon of the foot"). It reached career status in the United States during the 19th century, and in 1895 was accorded independent recognition by the New York State Legislature. 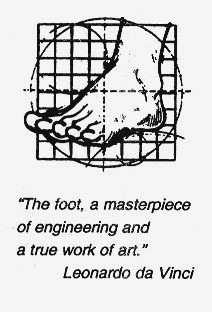 By 1911, the first college of podiatric medicine was operating in New York City (the New York College of Podiatric Medicine), and licensure was integrated under the State Board of Regents by the Board of Medical Examiners. Today, podiatric physicians are providing specialized foot and ankle care to more patients than ever before. Because the foot has a complex interrelation with the rest of the body, it may be the first area to show signs of serious systemic conditions, such as diabetes and cardiovascular disease. The podiatric doctor is often the first to detect symptoms of these disorders and becomes a vital and sometimes lifesaving link in the health care team. As the trend continues towards physical fitness, and with the aging population, the importance of the podiatric physician is becoming more and more apparent in many of the nation's leading hospitals and treatment centers. 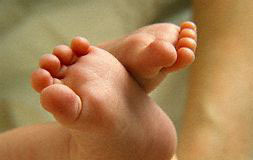 Podiatrists are physicians who specialize in the diagnosis and treatment of all disorders of the foot and ankle.